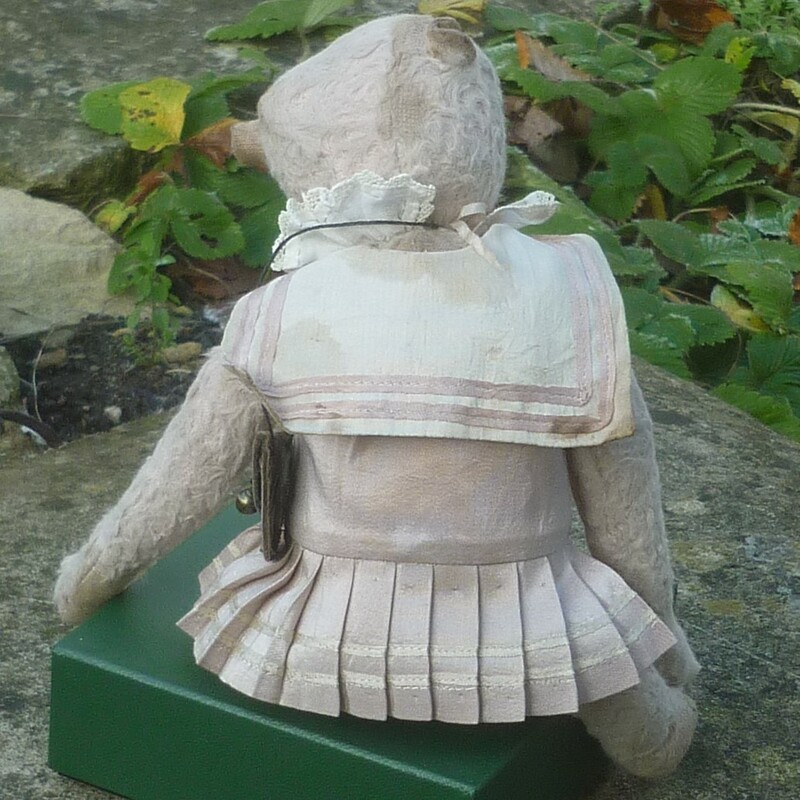 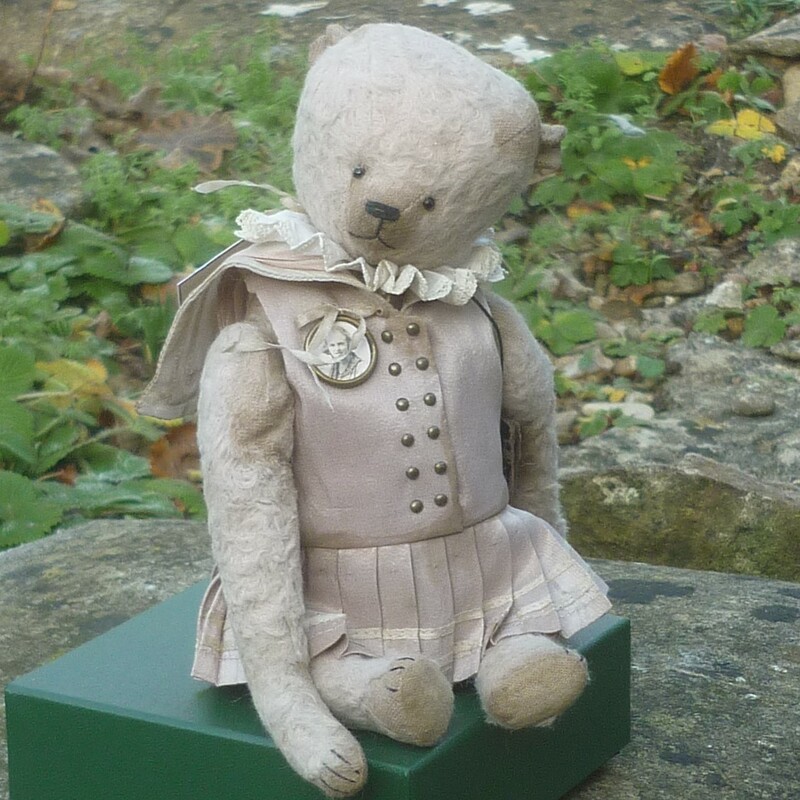 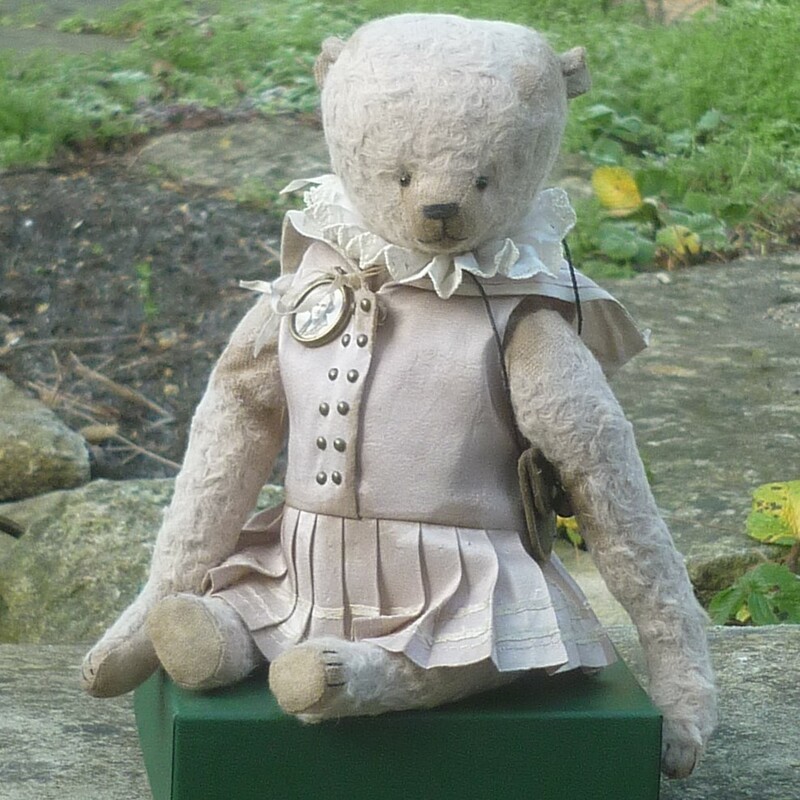 Made of aged cream viscose, this small to medium-sized bear wears a silk drop-waisted, sleeveless dress with pleated skirt and a lace-edged cotton ruff collar. 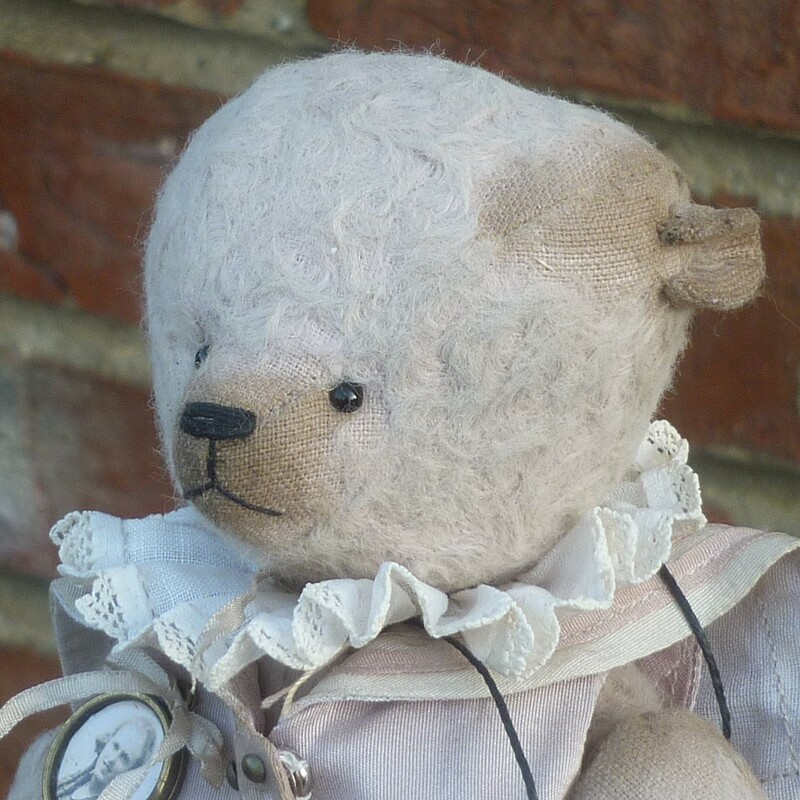 (as well as a portrait cameo pin and an aged leather shoulder bag). 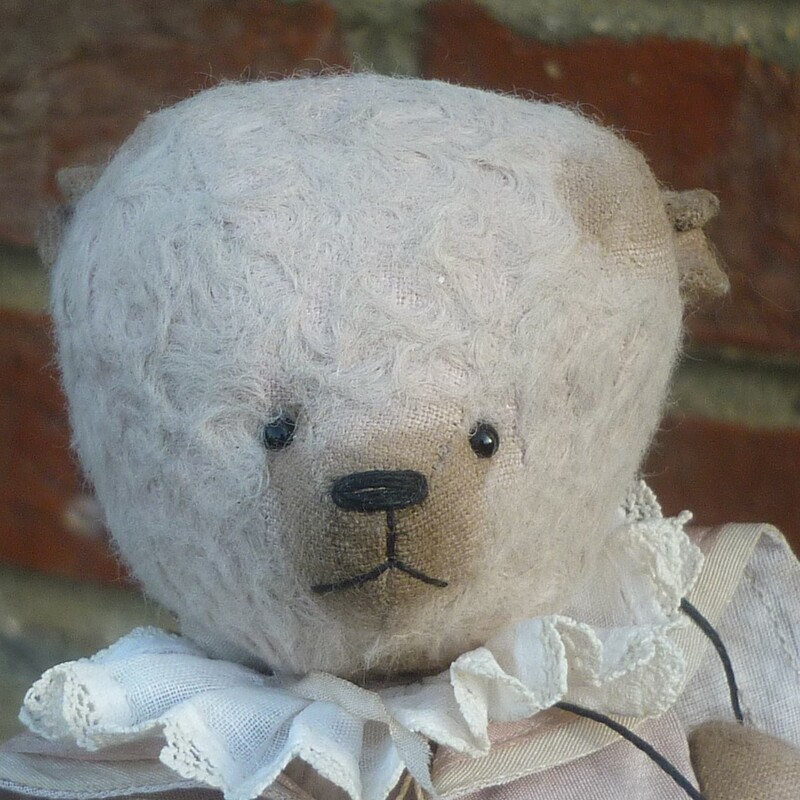 Maggie is filled with wood shavings, with steel shot added for weight. 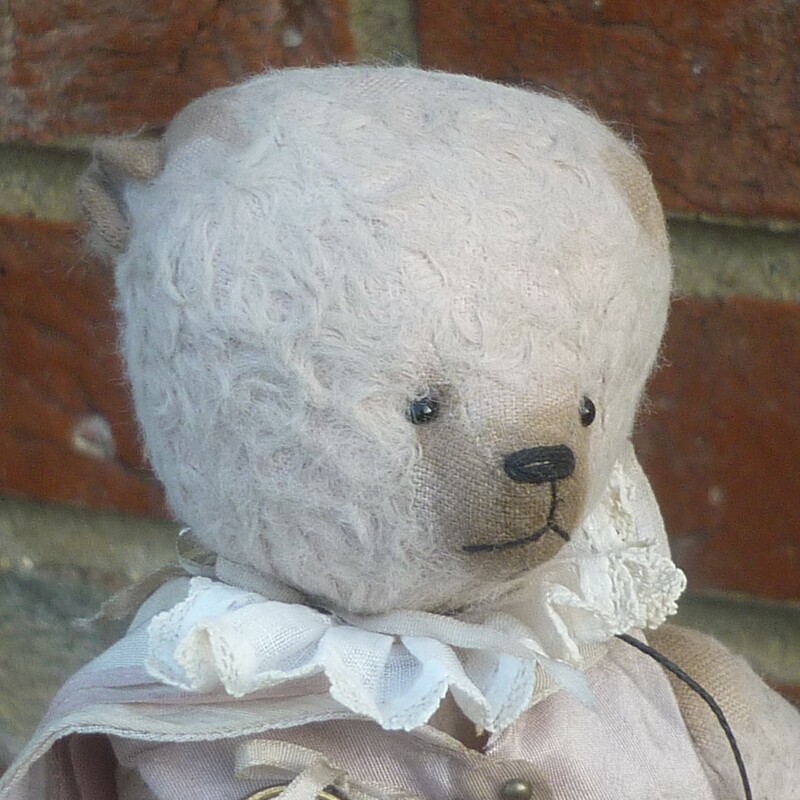 She has black glass eyes and aged cotton paw pads.